Out two wheel utility transport cart provides 7.5 cubic feet of transport capacity. It is designed for transport loads not exceeding 300 lbs. total weight. 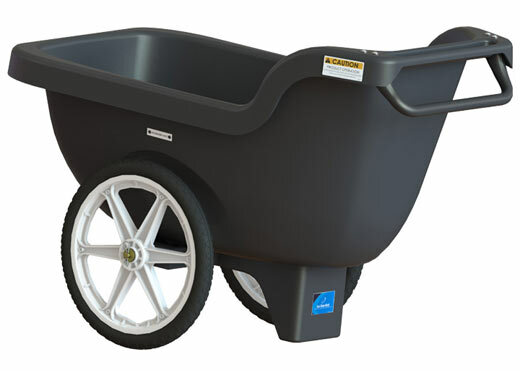 20" diameter wheels with semi-pneumatic tires with sealing ball bearing support. An adjustable axle is provided to allow load balance adjustments. 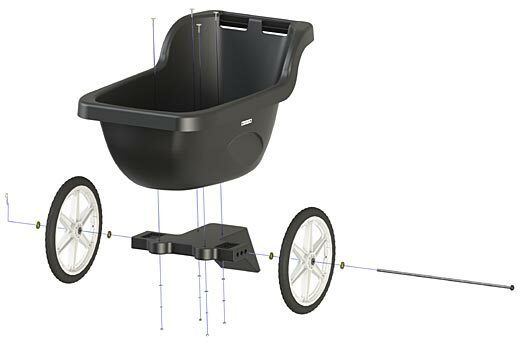 Cart is shipped knocked down and is UPS dimensionally compliant. 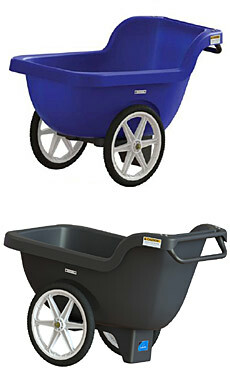 Cart is manufactured from linear low density polyethylene with U.V. stablizers. Standard color is black. Green and blue are also available. Assembly of frame and wheels is required. Assembled cart is 28" wide x 51" long x 34" tall. Shipping weight of cart is 42 lbs.